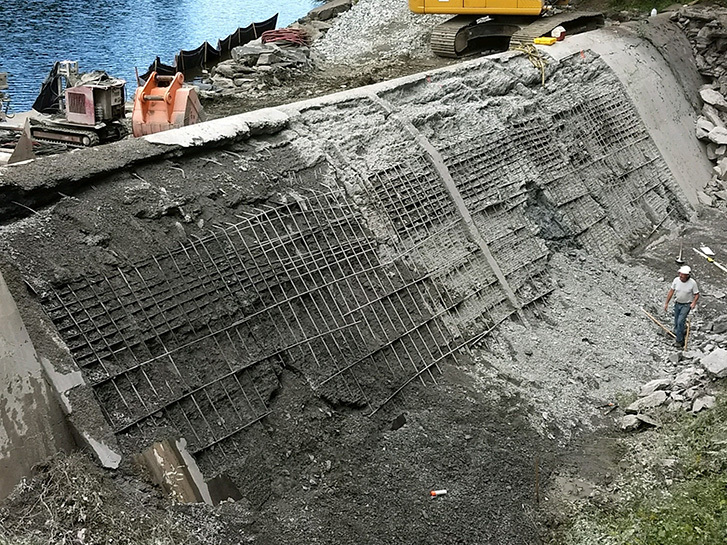 The contractor was hired by the town to remove 6” of concrete from the face of the existing dam and place new concrete. The GC contracted AK Industrial Services to perform hydro-demolition to remove the 6” of concrete. 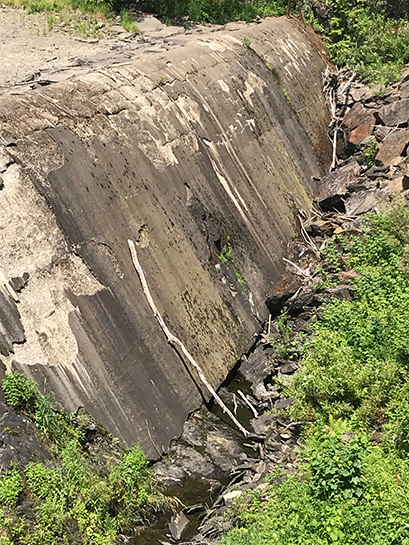 Since the dam face was steep and there was a lack of space at the base of the dam, AK had to develop a method to perform all of the work from the top. AK fabricated a system to support the hydro-demo head. That frame system was then attached to an excavator bucket. 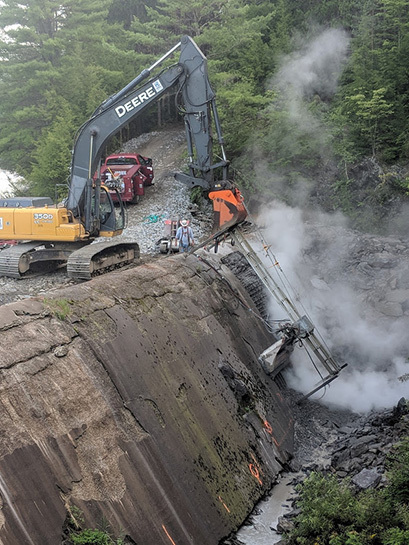 AK utilized its ultra-high pressure pumps to power the hydro-demo as the excavator moved the frame system from one end of the dam to the other.